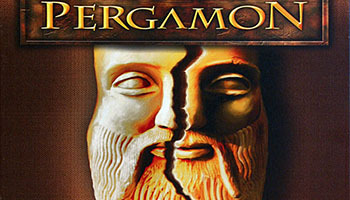 Pergamon is a tactical collecting game with a theme based on excavating archaeological discoveries and managing their exhibition. Set in the year 1878, the first excavations in what is now modern Turkey are uncovering the remains of ancient Pergamon. Soon the precious discoveries will make their way abroad to public exhibitions before a waiting audience, eliciting substantial honor and glory. The players attempt to gain federal research grants to cover the costs of their excavations through a bidding mechanism. Whoever is modest and less demanding can travel to the excavating areas before his or her competitors, and the rule is first come, first dig. Only fragments will remain for the later expeditions. Recovered treasures are placed in valuable exhibitions, for which the discoverer receives glory and recognition. The player who accumulates the most glory after 12 rounds wins the game. 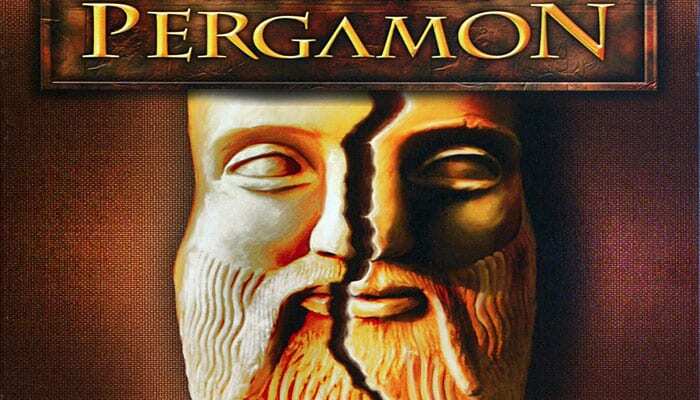 The combination of soliciting funds and racing for the best locations to excavate makes Pergamon a variable game with rules that are easily accessible. Players are forced to make choices based on the money they can obtain and the sequence in which they choose where to dig. In 1878, the Royal Museum of Berlin commissioned excavations in Pergamon - a site in present-day Turkey. The city experienced its heyday around 200 AC (we are using the Latin abbreviation AC = ante Christum Natum, instead of the more conventional BC) when it was the most important port in the Ancient Roman province of Asia. As archeologists your goal is to get as much research funding as possible in order to finance excavations in Pergamon.